A Coastal Resilience Center of Excellence education project led by the University of Maryland’s (UMD) Sandra Knight recently hosted a project management training in which emergency managers assessed their job functions and looked for ways to improve how they manage recovery processes. 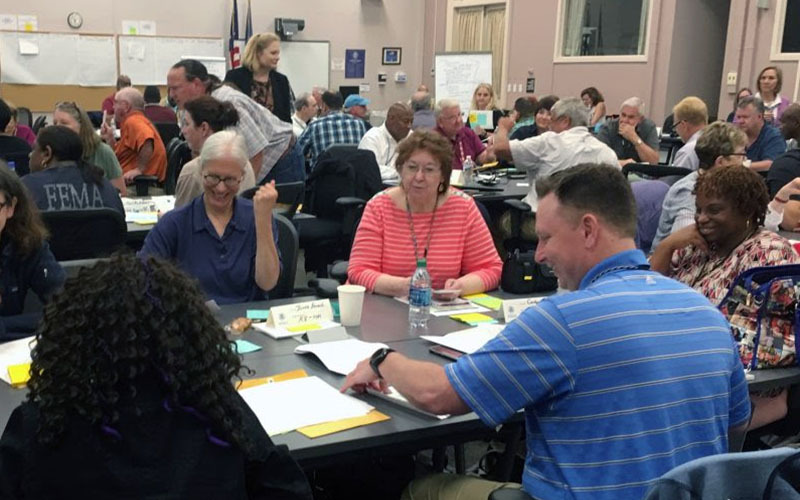 The Federal Emergency Management Agency Insurance and Mitigation Readiness Division worked with UMD's Center for Disaster Resilience to lead a workshop, “A Project Management Framework for HM Disaster Functions,” on May 15, 2018, in Emmitsburg, Maryland. The training centered around introducing a framework for project management for Hazard Mitigation Disaster Cadre mid-level managers. Additional instructors included UMD's Greg Baecher as well as Softek's Don Bouchard and John Johnson and Joanna Wagschal of Ideation, Inc.
Read more on the Coastal Resilience Center website.